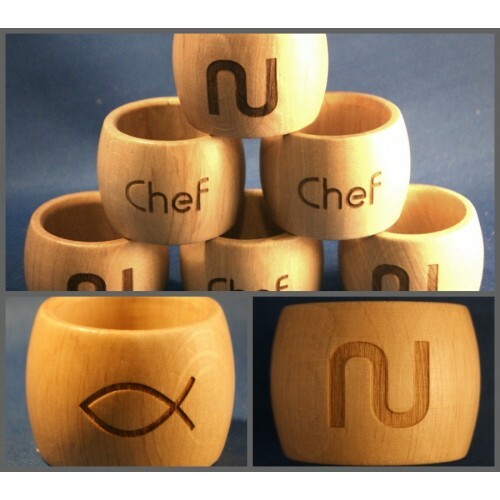 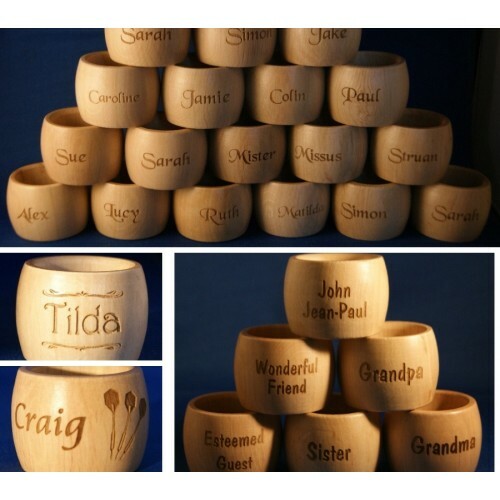 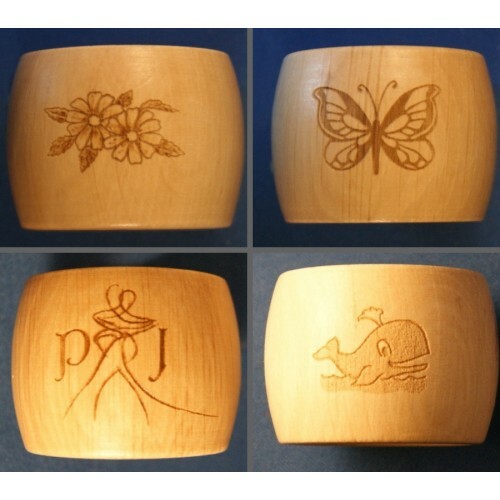 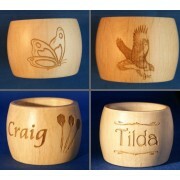 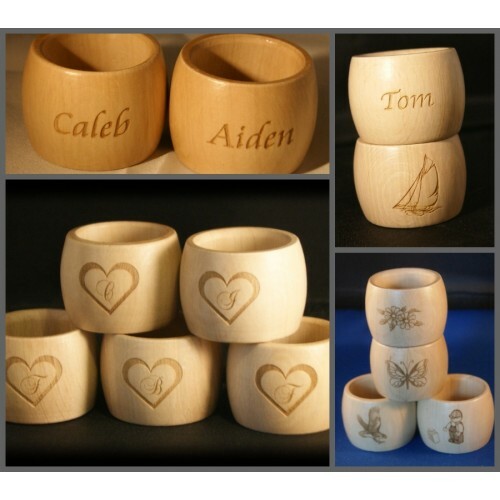 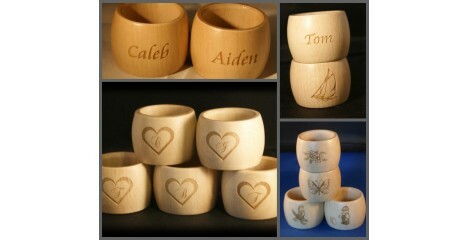 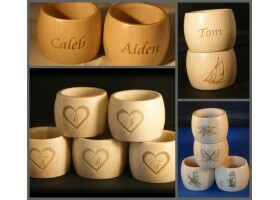 Wooden napkin rings engraved and personalised In any design you like. 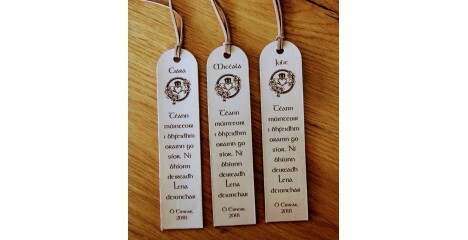 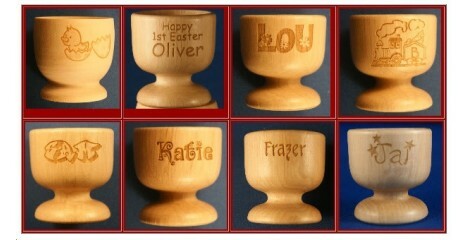 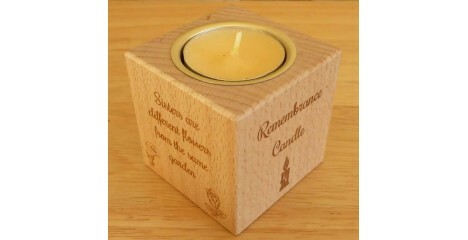 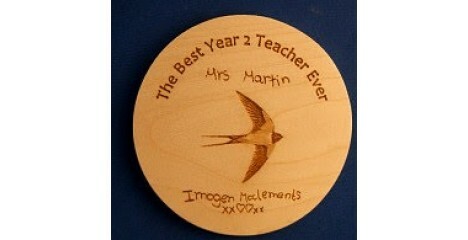 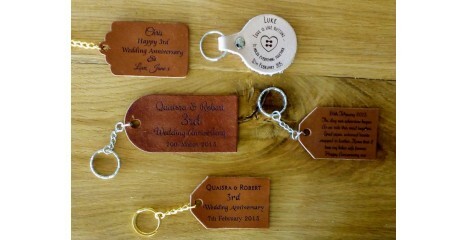 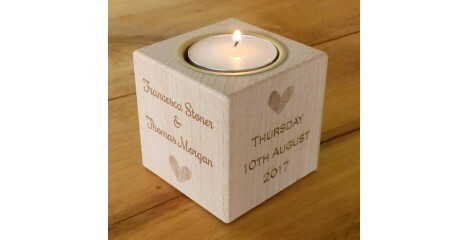 You can have just wording or names engraved or a picture of your choice added. 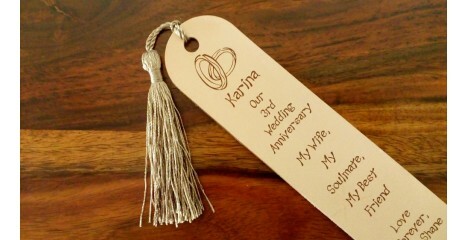 You can have an image and wording on opposite sides. 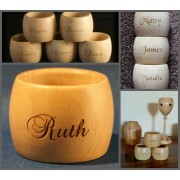 Also available with discounts if buying in bulk. 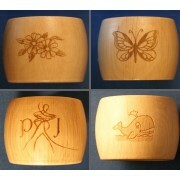 We also engrave company logos on our napkin rings for corporate gifts etc.